Welcome to the South Ridge HOA community website! Residents and visitors may view neighborhood news articles, upcoming events, and a community survey to the right. The tabs above provide helpful information for homeowners to access community documents and forms, local links to necessary services (like utilities and school information), a community directory, classified section, and more. Homeowners may register their contact info on the website to receive important email updates from the HOA board and a copy of our community newsletter. Visitors to our website may learn more about living in South Ridge HOA, where we're located, and view our community photo album. The next HOA board meeting is Thursday, April 25, at 6:30 pm at the Brandon Regional Library, located at 619 Vonderburg Drive in Brandon. All homeowners are welcome to attend. Do you shred all your mail - including junk mail? What about removing labels from prescription medicines? Look closely and you'll notice "bar codes" on your mail and other labels. With a simple app you can download to your phone, identity thieves can get your name, address, birth date, list of prescriptions, and more from those strange little bars! Some even pay a guy at the dump to let them go in and sift through piles of trash, searching for these profitable bits of information. Read the February - March 2019 community newsletter article to learn more about what to watch for and how to protect your identity. Do not park near stops signs or in front of fire hydrants. Do not park across from another vehicle on the street and leave less than 12' of road space available for emergency vehicles. Do not park facing the "wrong way" on the street - you must park in the direction of moving traffic. All vehicles must obey speed limit signs. All vehicles must be properly licensed and registered. Please observe HOA rules in addition to all local laws regarding parking and being considerate of your neighbors. South Ridge HOA has a "trespass authorization" on file with HCSO. The authorization is for non-residents on common areas, such as around our ponds or at our entrance. Once HCSO has been called, they will respond to remove the trespasser(s) and place them in the system for a trespass warning being issued. If the same individual(s) returns they are then subject to arrest for trespass after warning. The person(s) would be booked, then released on bond and given a court date or notice to appear. At the court hearing, the Judge would pass down the penalty which could be up to a $1000 fine and court costs for misdemeanor in the 1st degree. While we certainly hope it never rises to this level, we want homeowners to know the process of keeping our community safe and our private property common areas for residents only. You may call HCSO for a trespasser on your private property at any time, especially once they've been asked to leave and refuse to do so. What do you think of the new options on our new website, such as the Classifieds, Directory, and Photo Album? I love it! These are really helpful! I like it! I may use one or two of the new options. I like it. I'm not sure if I'll use the new options. There are other options I would like to see (comment). I don't care one way or the other about the new options. I don't like them. We don't need these on our website. I don't like them. They should be removed! Every home has a view of a lake or conservation green space, offering tranquility and a view of nature that's relaxing and beautiful. Residents can report street light outages, check holidays when trash won't be collected, find their child's school, and more with this list of helpful website links and phone numbers. Our HOA newsletter provides timely, helpful articles about our community. The newsletter is posted the first week of even numbered months with current news, landscape tips, security articles, upcoming events, home improvement ideas, and much more. HOA's have governing documents that all homeowners and residents are required to follow. Read through these documents to learn what improvements can be made to your property. You will also find needed forms for making changes, selecting paint colors, and more.. Homeowners can register their email info on the website to receive important information from the board by email. Click Register at the top of the page. For registered homeowner use ONLY. If you would like to list an item for sale or free for other South Ridge residents, submit your item(s), price, photo, and contact info for posting. Do you have a great outdoor photo you'd love to share in our community photo album? Landscape, wildlife, sunrise or sunset photos are welcome! Submit your photos for review and posting. 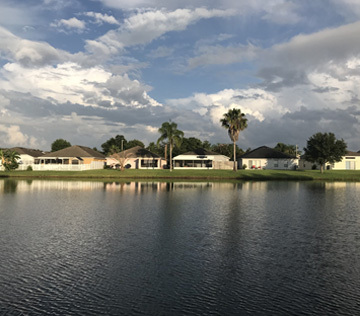 The South Ridge HOA Board has three volunteer homeowners who work with our property management company to keep South Ridge common areas and individual properties in good condition. All outdoor areas and structures must meet minimum community standards, which helps keep our property values high. Additionally, we ask homeowners to volunteer their time and talents when needed for such things as our Neighborhood Watch program, our Architectural Committee, our Holiday Decorations Committee for our entrance, our semi-annual community garage sales, and more. If you have an idea for South Ridge residents, please plan to attend a quarterly board meeting or contact a board member or McNeil Management with your information. 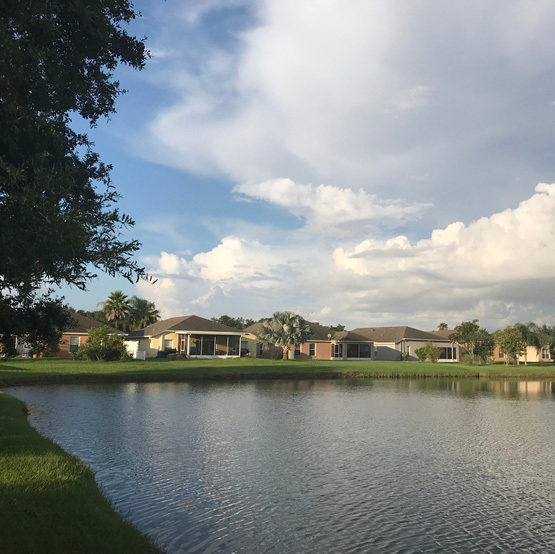 South Ridge HOA offers private common areas with small ponds and conservation land. Homeowners and their guests enjoy peaceful outdoor views with a variety of wildlife including sandhill cranes, hawks, turtles, ducks, and even an occasional fox or coyote. We have sidewalks throughout the community for walking with your family or pet. There's one entrance in and out of the community, so we have no through-traffic on our neighborhood streets. Our central location in the heart of Brandon puts us within easy driving distance to shopping, dining, schools, medical offices, and major transportation routes. South Ridge is a peaceful, quiet, nature-loving neighborhood with the benefit of location, location, location!